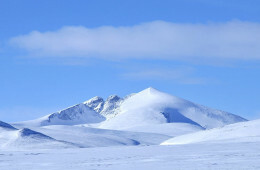 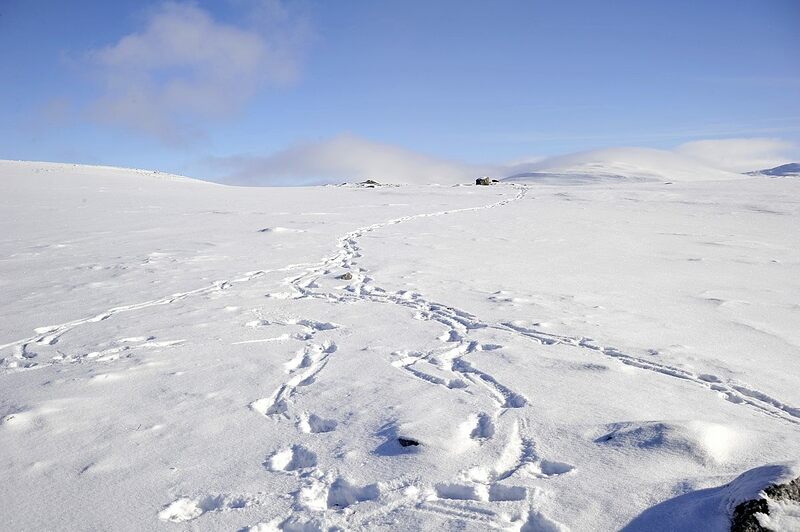 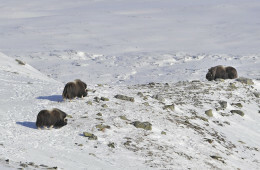 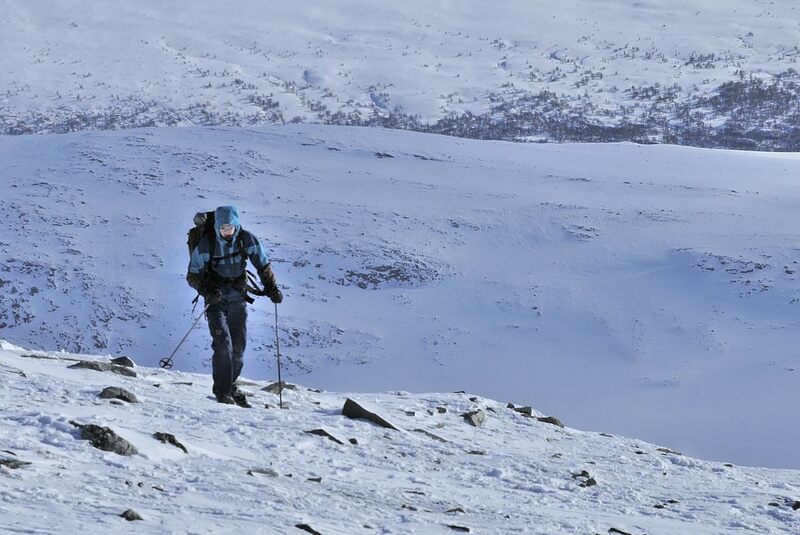 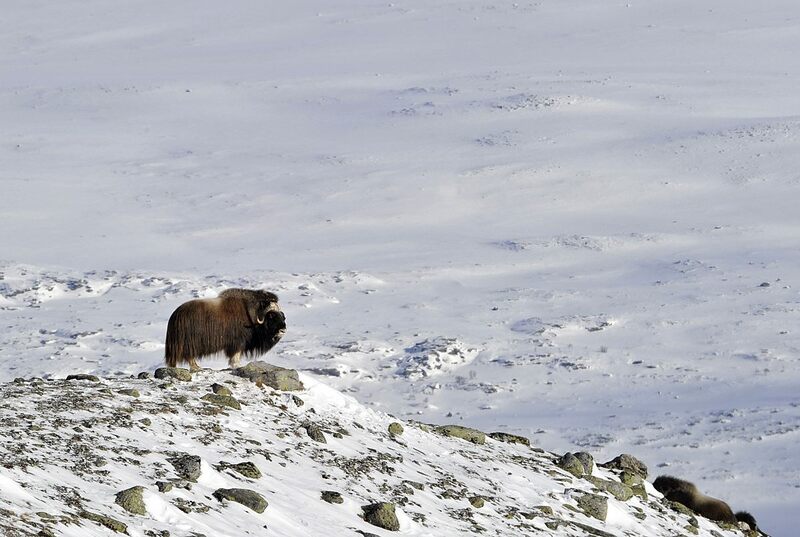 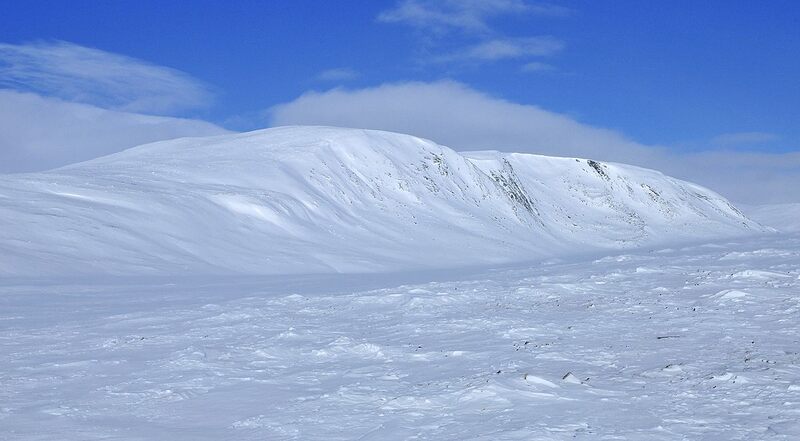 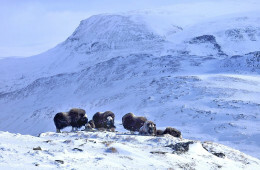 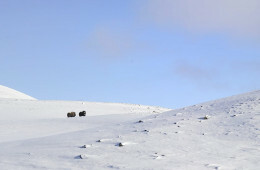 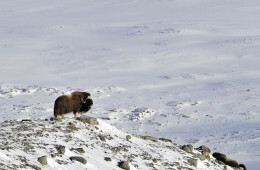 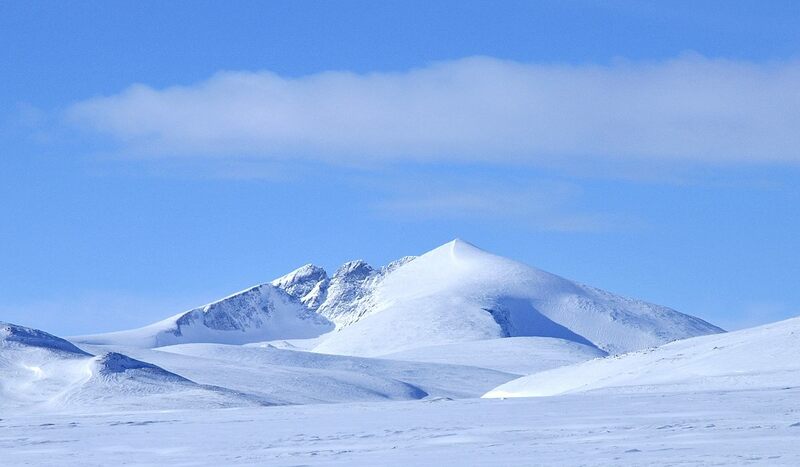 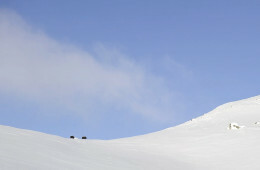 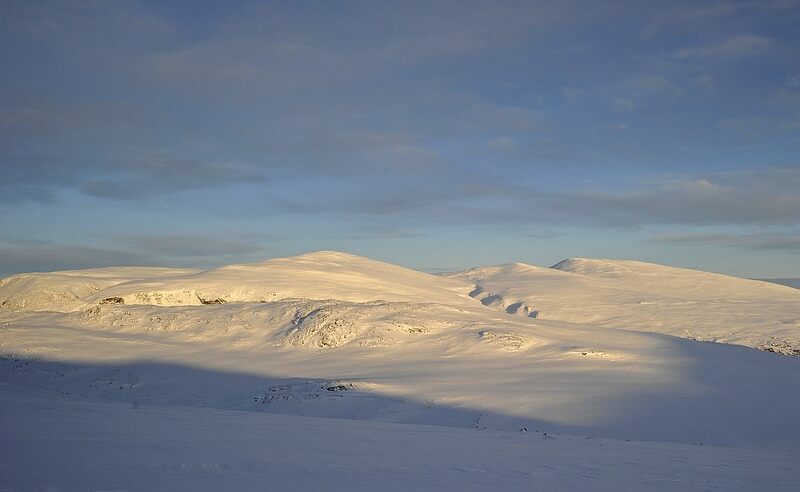 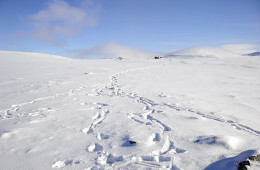 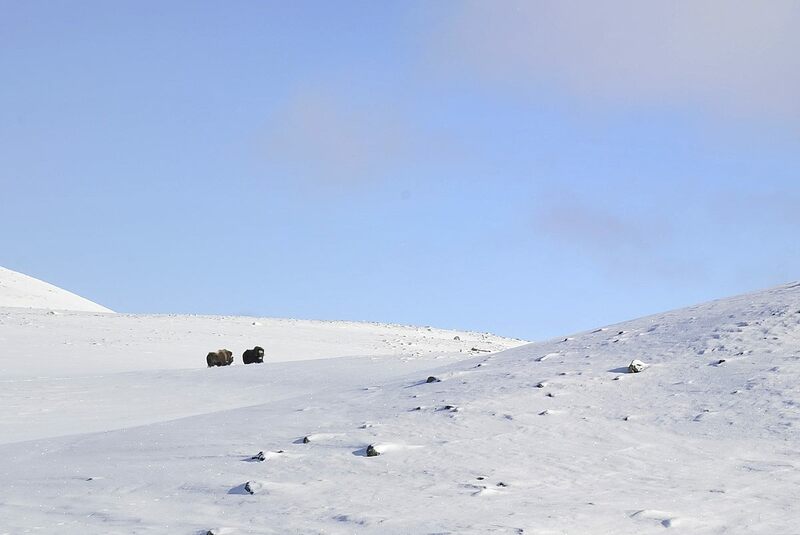 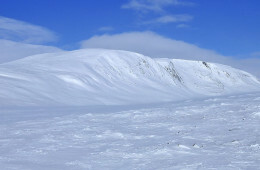 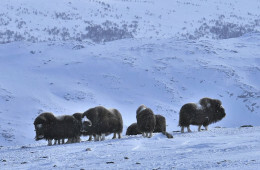 I visited Dovrefjell with my son during wintertime to see whether we could find the muskox. 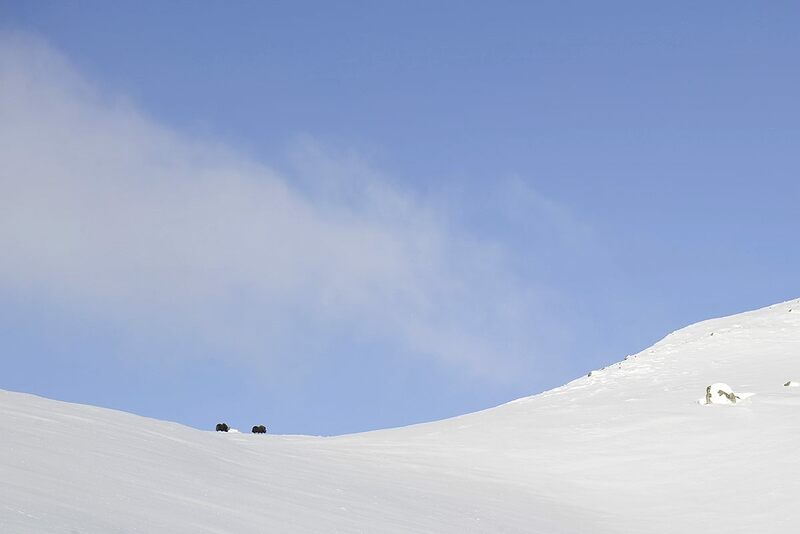 We put on mountain skis and left the road behind, heavily loaded with cameras, lenses and tripods, including extra batteries and memory cards. 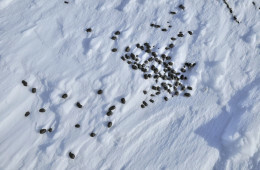 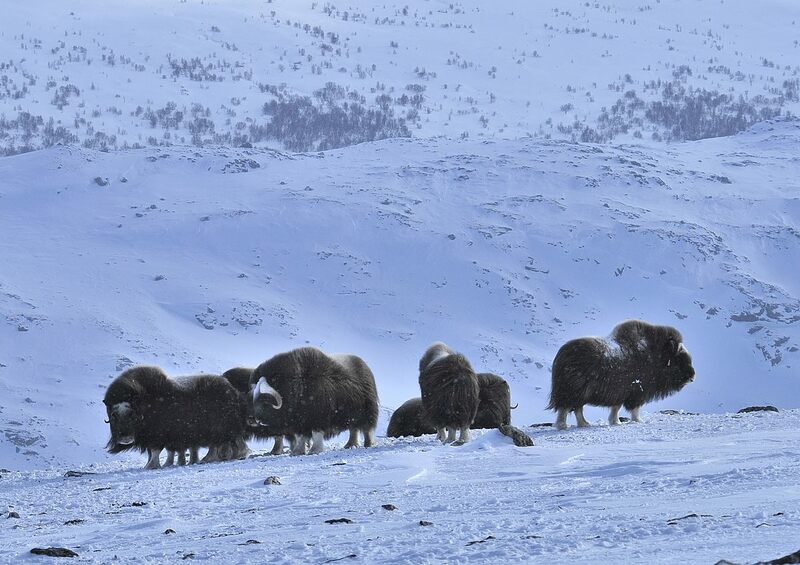 After hiking for a couple of hours we found the first tracks of muskoxen, soon after we saw the droppings (amazingly small for such a huge animal), and finally we discovered the animals themselves. 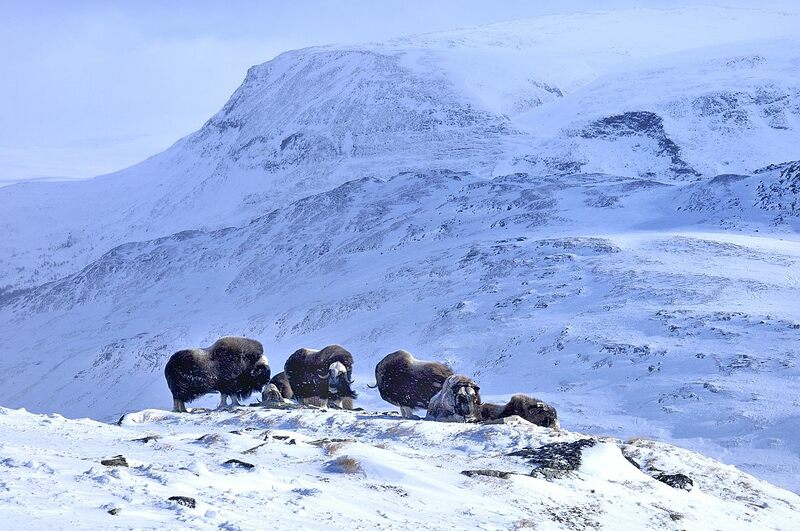 What an impressive sight! 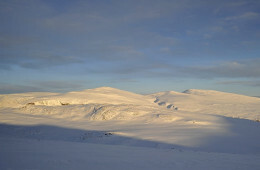 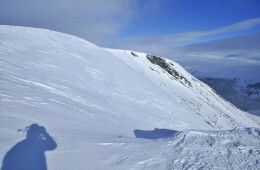 The mountains were completely covered by snow and the temperature was around minus 15-20 °C. 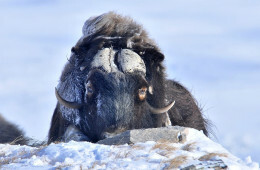 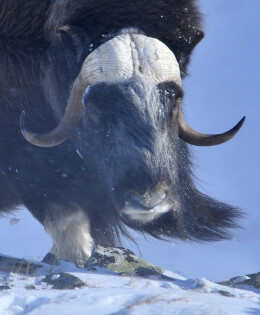 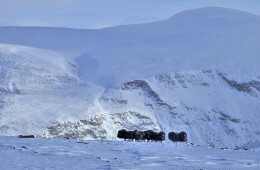 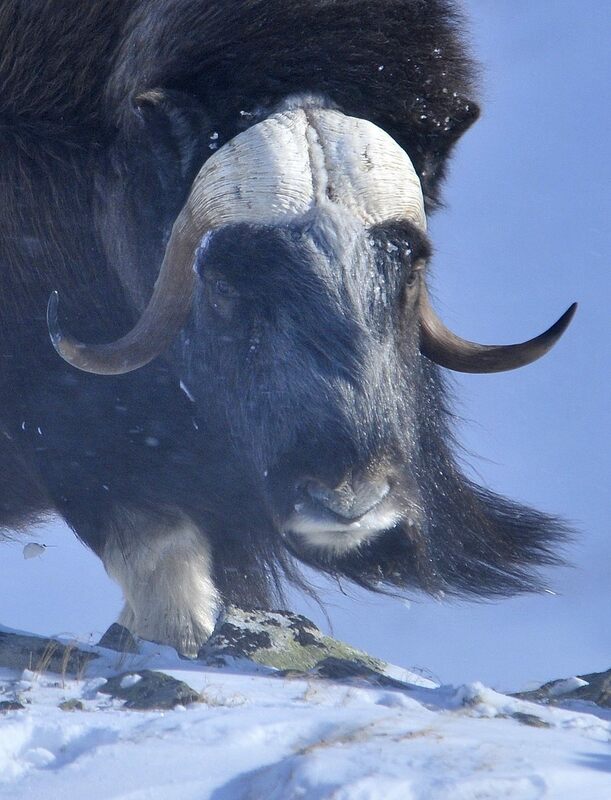 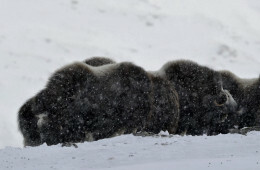 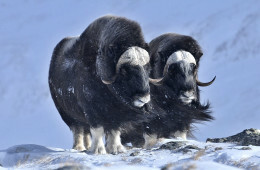 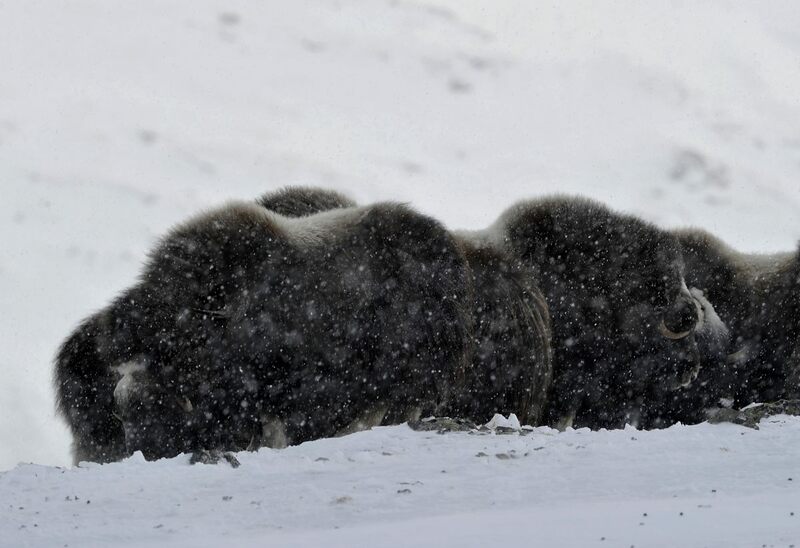 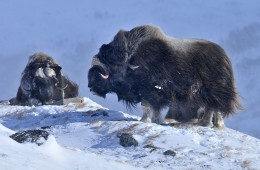 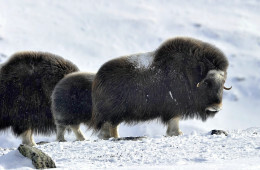 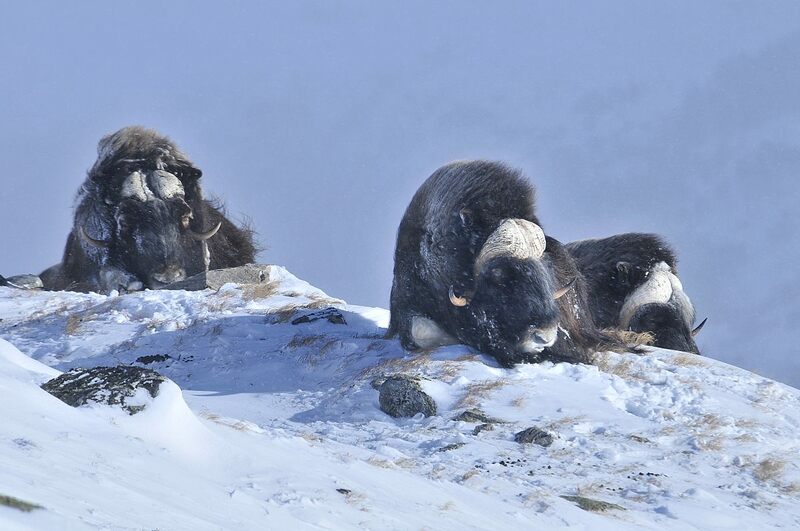 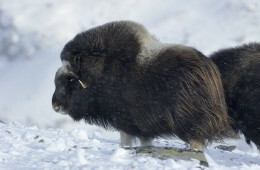 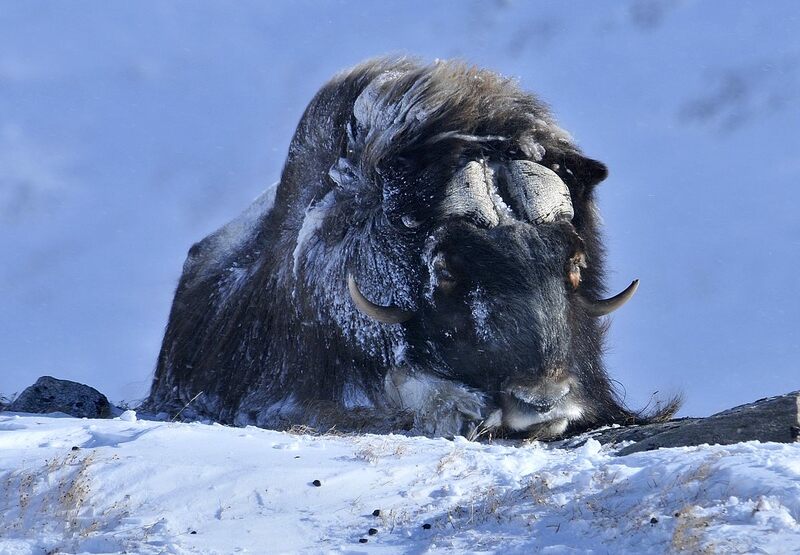 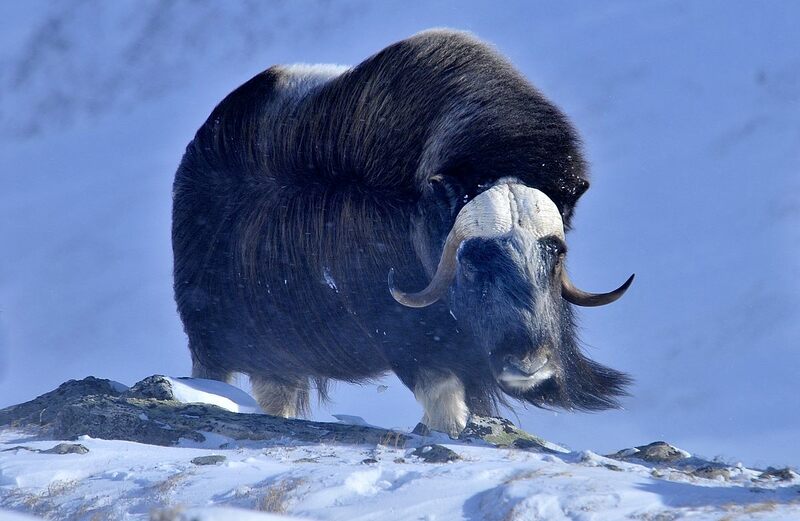 Their long, thick coats were blowing in the biting wind, and by being there we understood why and how much the muskoxen were exposed to the extreme environments. 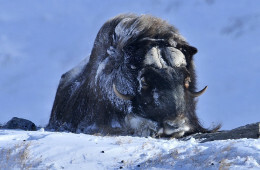 What an adaptation! 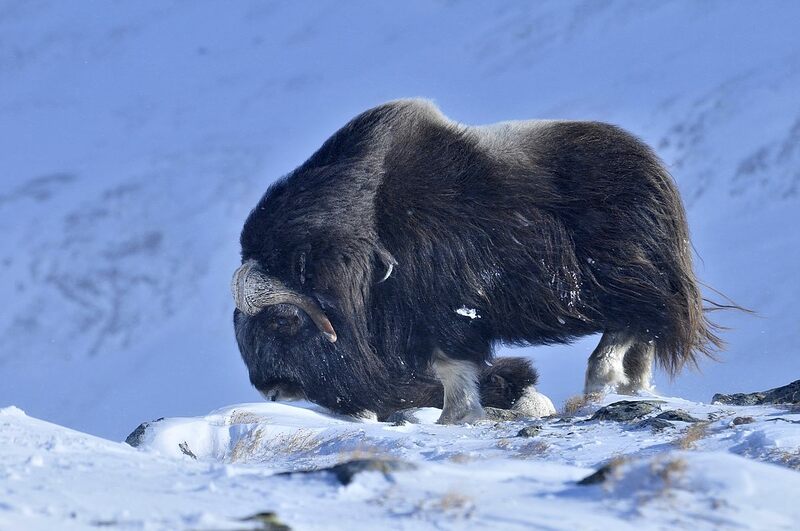 About two meters long, one meter high and weighing 200 kg or more – how can they survive during winter? 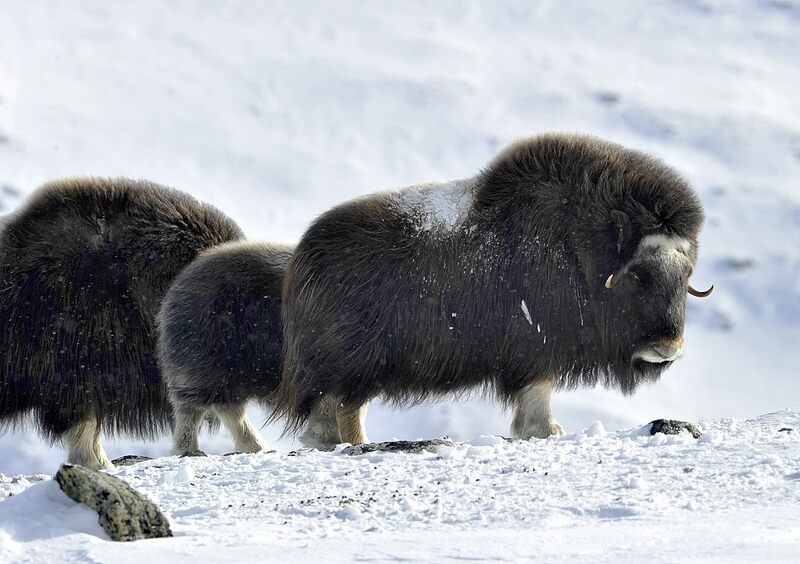 The fact is that their body metabolism works at reduced speed during the cold season, and the animals often stay in the same area for long periods, saving energy and eating only now and then by finding lichens and the remains of wilted plants buried below the snow. 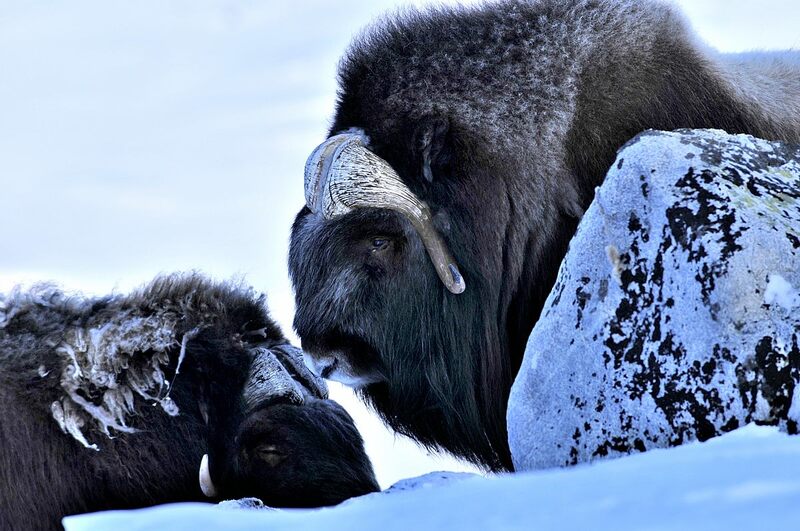 While we were there we paid very close attention to the way the animals behaved, carefully watching for any signs that the animals were uncomfortable in our presence. 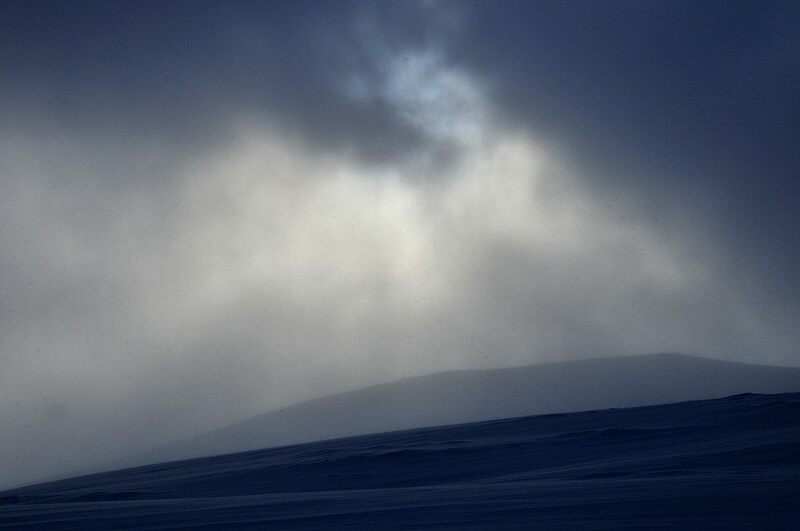 We saw no such signs. During the course of three days we were able to observe and take pictures (both still images and videos) of the muskoxen in their natural environment – the harsh mountains of Dovrefjell.